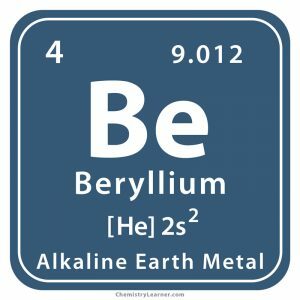 Beryllium (pronunciation beh-RIL-ee-em ), represented by the chemical symbol or formula Be , is a light-weight, high-strength element belonging to the family of alkali earth metals [3, 15, 41]. 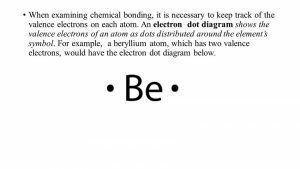 Naturally occurring Be has a single stable isotope with mass number 9 . Besides that, it has 9 synthetic, radioactive isotopes with known half lives . It is less reactive than other metals in its group due to a layer of oxide that covers its surface at normal temperatures. However, the layer breaks up at temperatures above 750oC and allows it to chemically react with air, acids, bases, halogens, etc. You can also powder the metal to increase its reactivity. The powdered metal burns in air (oxygen) to form a mixture of beryllium oxide and nitride. Be dust forms explosive mixtures in air . However, even if the metal is made red hot, it refuses to react with water or steam [12, 13] and hydrogen  due to its small size and high ionization energy . These make it unique from its fellow group members and it is said to exhibit anomalous properties . 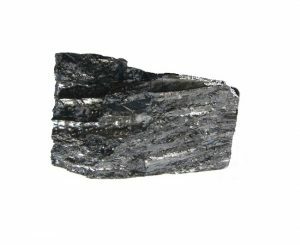 On earth, the metal can be found in 30 different species of minerals, the most important ones being beryl (beryllium aluminum silicate) and bertrandite (beryllium silicate). Beryl has precious forms in emerald and aquamarine . The human body contains about 0.4 ppb (parts per billion) of Be though it does not use it as such [17, 18]. It is mostly mined in Utah, USA making the country the major producer generating more than 87% of the world output [28, 47]. 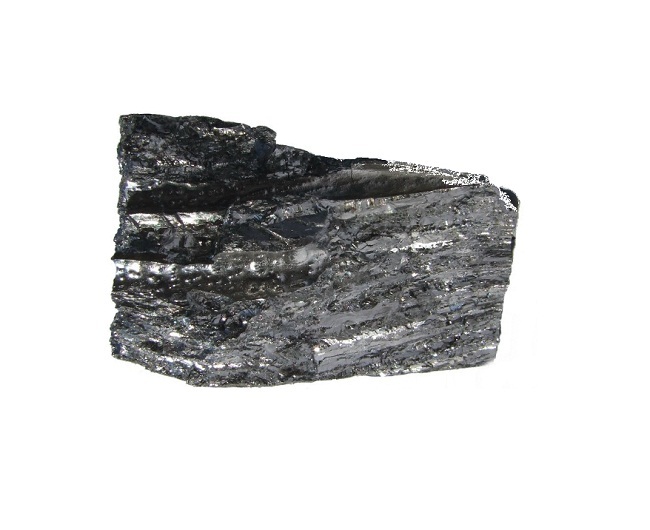 It is usually obtained by reducing beryllium fluoride with metallic magnesium . Origin of Its Name: Its name is derived from the Greek name of the gemstone beryl, “beryllo” that contains the element . Who Discovered It: French chemist, Nicholas Louis Vauquelin . 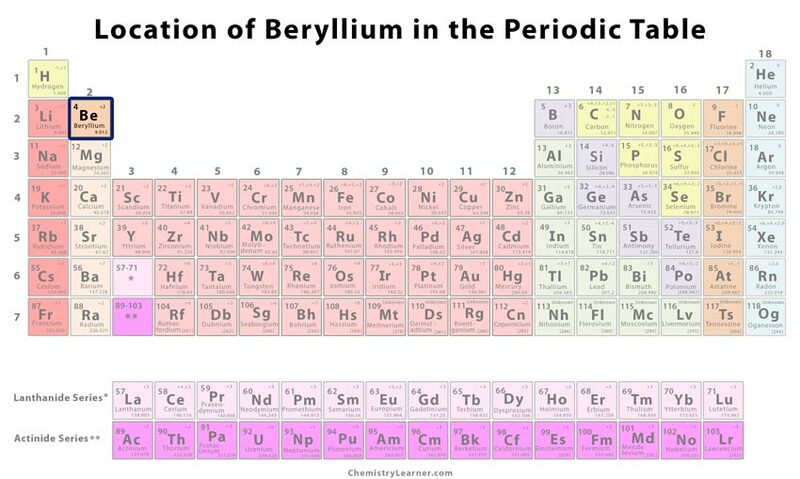 When and Where Was Beryllium Discovered: It was discovered in 1798 in France . Vauquelin analyzed beryl and emerald on a suggestion from French mineralogist Abbé René-Just Haüy that the gemstones might harbor a new element. He realized that Haüy was right and investigated the new metal. He announced his discovery at the French academy in February 1798 and named it glaucinium (derived from the Greek “glykys” meaning sweet) since its compounds taste sweet. 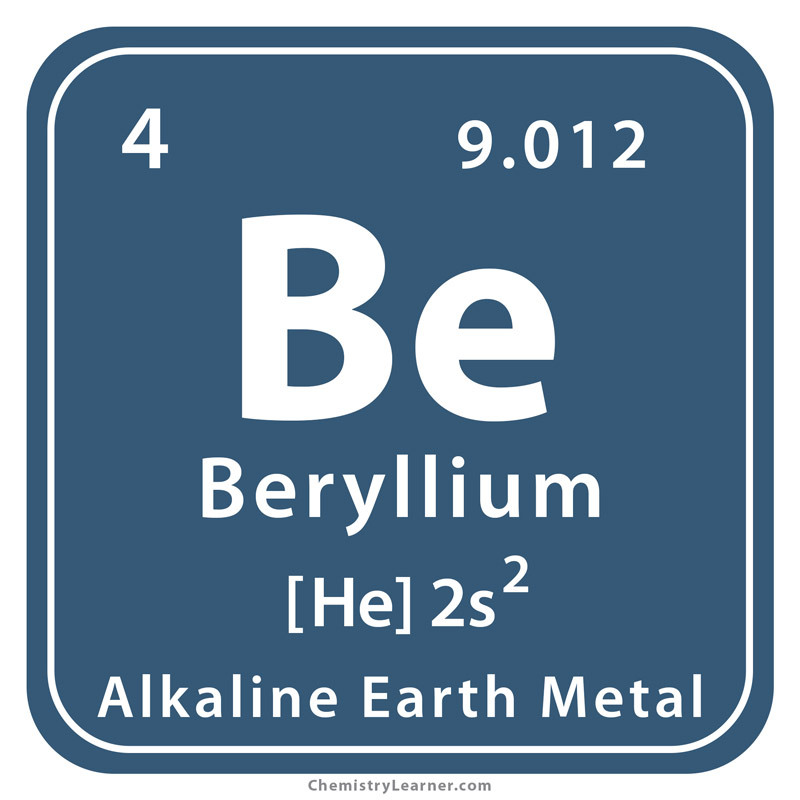 Others preferred the name beryllium that was later accepted officially. Chemists Friedrich Wöhler and Antoine-Alexandere-Brutus Bussy extracted the metal independently in Berlin and Paris, respectively, in 1828, from beryllium chloride by reacting it with potassium . Be is alloyed with copper or nickel to make compression springs, drill bits, safety tools (for example, wrenches), wires, gyroscopes, spot-welding electrodes, electrical contacts and non-sparking tools due to its high thermal conductivity. 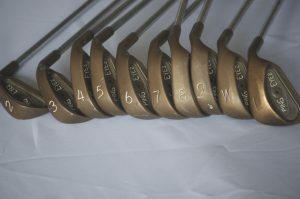 Beryllium copper is also used in making golf clubs, valve seats, jewelry and hammers [37, 38, 43]. Other alloys of Be are used as structural materials for missiles, high-speed aircraft, communication satellites and spacecraft . As a dopant in gallium-arsenide, indium-gallium arsenide and aluminum-gallium-arsenide semiconductors . As a material for tweeter domes and midrange compression drivers due to its high rigidity . 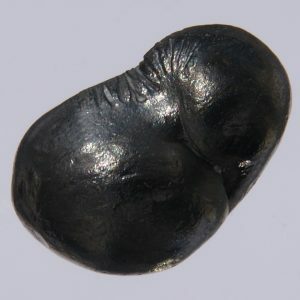 Its alloys are also used in diaphragms of loudspeakers and headphones . Radioactive beryllium 10 finds application in measuring the ages of glaciers . Americium-beryllium and antimony-beryllium are used as neutron sources [21, 40]. 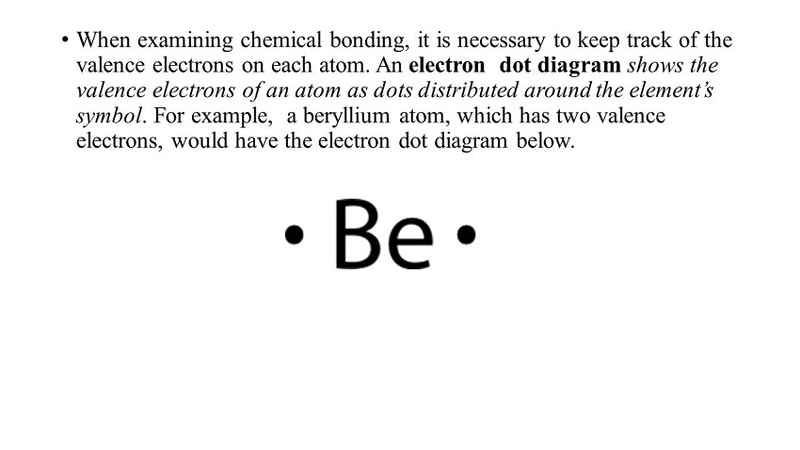 Be has importance as a neutron reflector material in nuclear weapons . It is also used in nuclear fusion reactors . To make vacuum-tight windows in X-ray tubes and magnetrons of microwave ovens [23, 25]. Beryllium mirrors have military and aerospace applications . 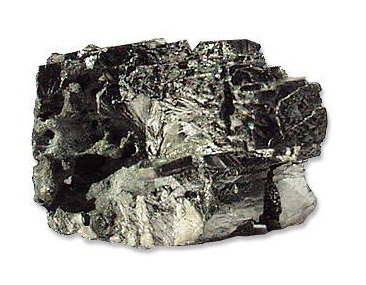 Beryllium and its compounds are carcinogenic and toxic. Inhaling its dust or fumes can lead to incurable inflammation of the lungs, a chronic or acute beryllium disease known as berylliosis . Be poisoning may lead to skin diseases and Be sensitivity in the body. Safety precautions should be taken to limit its exposure in the workplace. OSHA regulations should be followed properly to safeguard against modern industrial and construction health hazards . 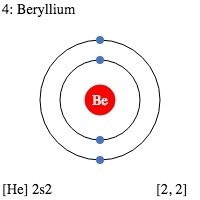 The charge of a beryllium-9 nucleus is +4 because it contains 4 protons in its nucleus . 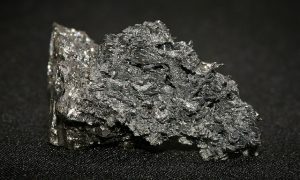 Magnesium and aluminum are elements that have similar properties with Beryllium due to its proximity to Be in the periodic table . Aluminum has a layer of oxide covering its surface that protects it from acid attacks and has a tendency to form complexes just like Be with which it shares a diagonal relationship on the periodic table . Beryllium bikes manufactured in the ‘90s used Be alloy sheets for the frames . Its modulus of elasticity is about 50% higher than that of steel although it weighs just one-fourth of it . The pure metal is priced at $740 for every 100 gram ($6713169 per ton) and in bulk it costs $93 ($843682 per ton) for the same quantity .